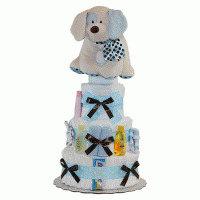 Looking for a unique baby gift for the baby shower? Or maybe you're searching for a really clever baby shower centerpiece. 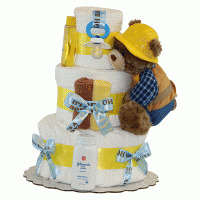 If so, our Bee...utiful Baby Shower Gift designed by Silly Phillie definitely deserves your attention. 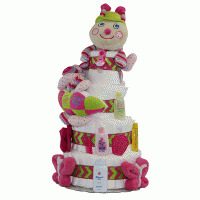 Adorable, practical and quite substantial this is one gift that is sweeter than honey and never stings! 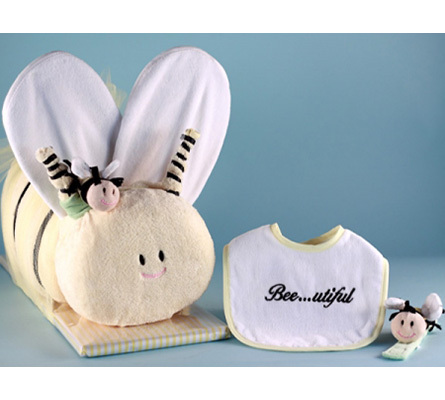 Bee...utiful Baby Shower Gift includes: Soft & cuddly milky fabric baby blanket Bib with Bee...utiful embroidery Soft & plush bee wrist rattle Terry burp pad Washcloth Create a buzz at the next baby shower, give the Bee...utiful Baby Shower Gift!